The person filing for divorce, termed the plaintiff, has initiated the action and is expected to prosecute it diligently. If he does not do so, his spouse -- the defendant in the divorce case -- can file a motion to dismiss for failure to prosecute. Since Oklahoma courts can grant a divorce as early as 10 days after you file the petition, their sense of timing differs from states like California, in which a divorce cannot be granted until six months after service. Still, courts do not grant a dismissal motion lightly and a brief delay will rarely prove sufficient to result in a dismissal order. An Oklahoma judge can dismiss a divorce action if he is convinced the plaintiff is not actively moving the case forward. Since the court has much discretion on the issue, there is no clear line beyond which a plaintiff's delay will be deemed dilatory behavior resulting in dismissal. Oklahoma cases dismissed for failure to prosecute typically involved inactivity for a substantial period of time. In one 2008 Oklahoma case, the action was dismissed when the plaintiff failed to take any action whatsoever in a case for over two years. Oklahoma courts also dismiss when the plaintiff does not attempt service of process or fails to show up for an important hearing or for trial. If you are the plaintiff, you can generally avoid dismissal for failure to prosecute by keeping on top of filing and discovery deadlines. When you serve your spouse with the divorce papers, she has 30 days to respond. If she does not, you should promptly ask the court to enter her default. Similarly, if your spouse misses discovery deadlines, you should file a motion to compel discovery. Even if you do not win these motions, the court sees that you are prosecuting the case. It is also essential to calendar and attend all scheduled hearings and trial. If a true emergency arises (such a death in the family, not an impromptu vacation), advise the court and request a continuance. 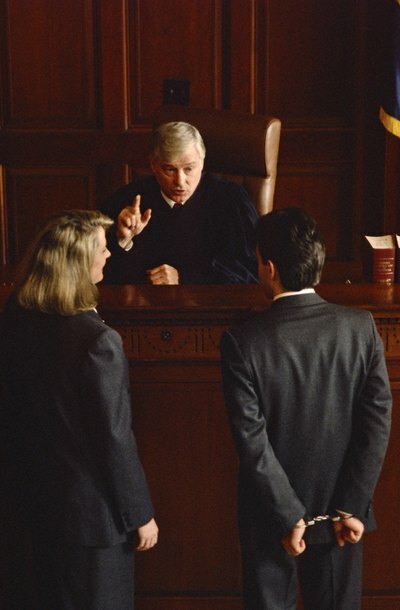 You may need legal help to evaluate and prepare these court filings. If the court issues an order dismissing a divorce action for failure to prosecute, the plaintiff has options. He can appeal the dismissal to a higher court or refile the action. Dismissal of a divorce case for failure to prosecute will generally be without prejudice, which means the plaintiff can refile the action whenever he is ready to proceed. This is in stark contrast to a dismissal with prejudice, in which you will be barred from refiling. In effect, the dismissal operates as a judgment on the merits and means that you have lost the case and cannot refile it. Though a court would be very unlikely to dismiss your divorce action with prejudice based on a failure to prosecute, you should still try to avoid a dismissal by prosecuting the case and not filing until you are ready to do so. The Free Library: The Misinterpretation of the Dismissal for Failure to Prosecute Rule.